In industrial automation, human machine interfaces (HMIs) are evolving by the second. 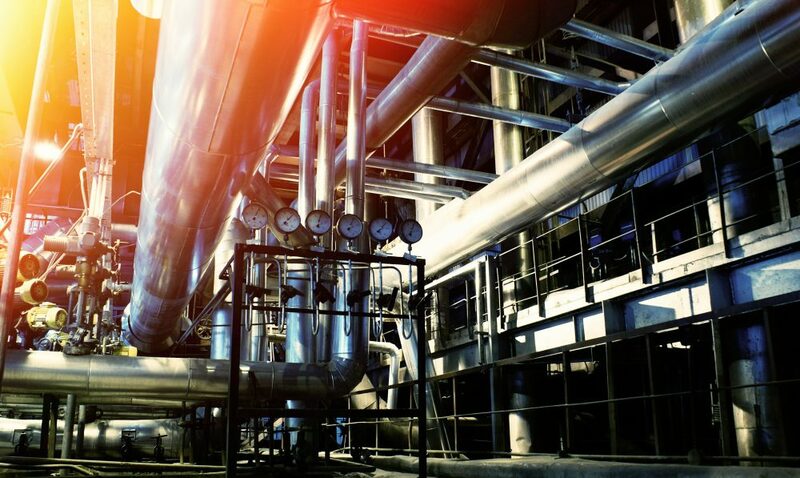 The introduction of programmable logic controllers (PLCs) and factory floor robotics is changing the way people interact with technology in business. With high computing power, automation can collect, process, and analyze data throughout the factory for improved process flow. Achieving these results requires higher speed and increased connection distances in addition to other needs. Ethernet is among the top of the list for most successful communications protocols in our new connected world. The most popular physical layer choice for Ethernet remains copper twisted pair cable, making the RJ45 jack one of the most common components used in industrial machines. The constant drive to process more data with each generation of new equipment places pressure on copper’s inherent bandwidth and link length limitations. This is why various categories (Cat 5, Cat 6, etc.) of twisted pair cables exist. Additionally, physical layer ICs (PHYs) use various signaling and encoding methods, which increase the effective data throughput over bandwidth limited cable connections. The advantage of twisted pair cable is its low cost and ubiquitous install base. Cable cannot easily be upgraded each time new Ethernet equipment is purchased. One way to increase data rate on without upgrading cable infrastructure, is by introducing intermediate data rates. By offering the choice to increase data rate by 2X or 5X rather than 10X, PHYs can boost data throughput on existing cabling. Emerging new standards such as 5GBase-T, 2.5GBase-T, actually NBase-T, permit the optimum use of bandwidth over any installed twisted pair cable. Check out Abracon’s latest ARJM11s for samples. 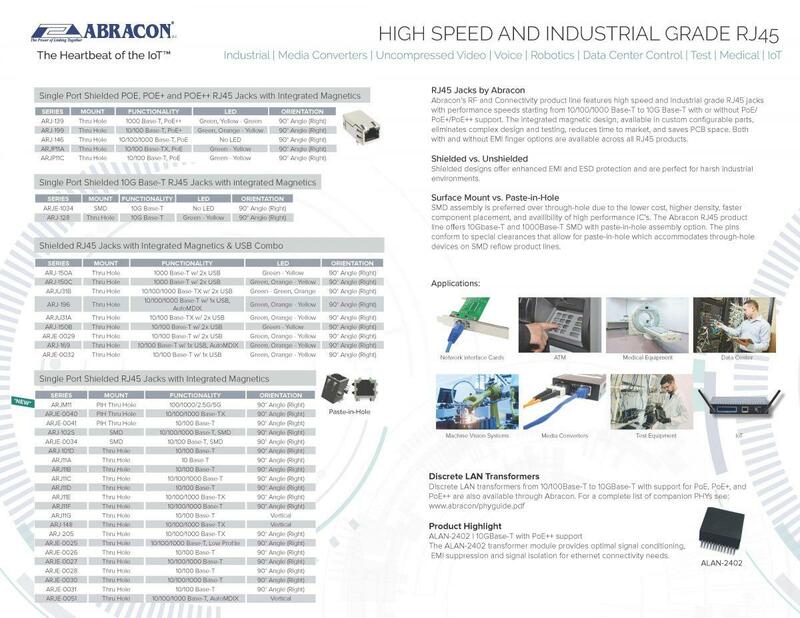 About Abracon, LLC Founded in 1992, and headquartered in Spicewood, Texas, Abracon is a leading global manufacturer of passive and electromechanical timing, synchronization, power, connectivity and RF solutions. Abracon offers a wide selection of quartz timing crystals and oscillators, MEMS oscillators, real time clocks (RTC), Bluetooth modules, ceramic resonators, SAW filters and resonators, power and RF inductors, transformers, circuit protection components and RF antennas and wireless charging coils. The company is ISO9001-2015 certified with design & application engineering resources in Texas and sales offices in Texas, California, China, Taiwan, Singapore, Scotland, Israel, Hungary, UK, and Germany. Abracon’s products are offered through its global distribution network. For more information about Abracon, visit www.abracon.com.